■ Are you already a distributor of shelving and racking? ■ Perhaps your business sells tools or other equipment? ■ Would you like to expand upon your range without the burden of holding stock? Why not join hundreds of distributors across the country and become a distributor of Anco products? Anco is the UK’s largest Trade Only supplier of Storage Equipment, we work alongside our distributors supplying a huge range of storage equipment: ranging from shelving for the office, to warehouse racking, to small part storage and bin units plus many other variations. With over £3 Million of stock held within our warehouse we can offer you another exciting element to your business. Each year we publish our Storage Catalogue. This Catalogue contains over 7,000 variants of our products, alongside technical information across 156 glossy pages. 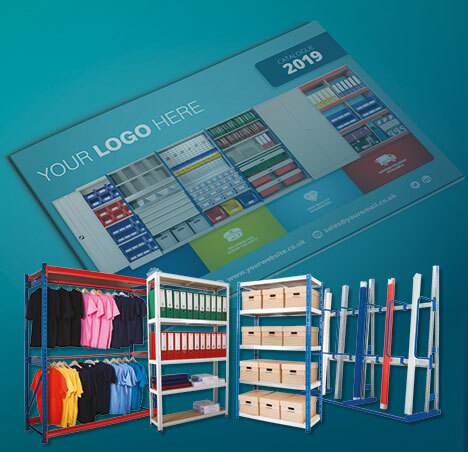 This year is no exception, and now is your chance to register your interest in your very own Storage Catalogue for 2019. We’d be delighted to talk you through our options in more detail and really establish your businesses needs, ahead of the creation of a Storage Catalogue perfect for your business. Want to discover more? Get in touch for a complementary welcome pack to discover more about how Anco can help your business. We’d also be delighted to talk through our Catalogue options with with you. Call our friendly support team on 01403 785985 or e-mail us on catalogues@ancostorage.co.uk. We’d be delighted to hear from you.